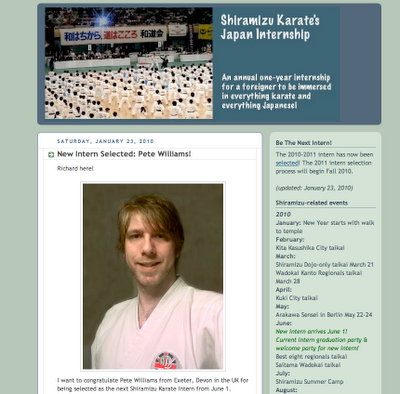 Last Friday Shiramizu Karate's Arakawa Sensei and I selected the next karate intern. His name is Pete Williams from the UK. Please visit the internship website to read more about him. Sensei came to my school so we could talk about who to choose. Of course, he was positive and enthusiastic, which always motivates me. There are two types of people, those who give energy and those who take it. Arakawa Sensei could sell the positive energy he gives off!